Persona Med-Aesthetic Centre welcomes Dr. Kristina Cassar to the team. 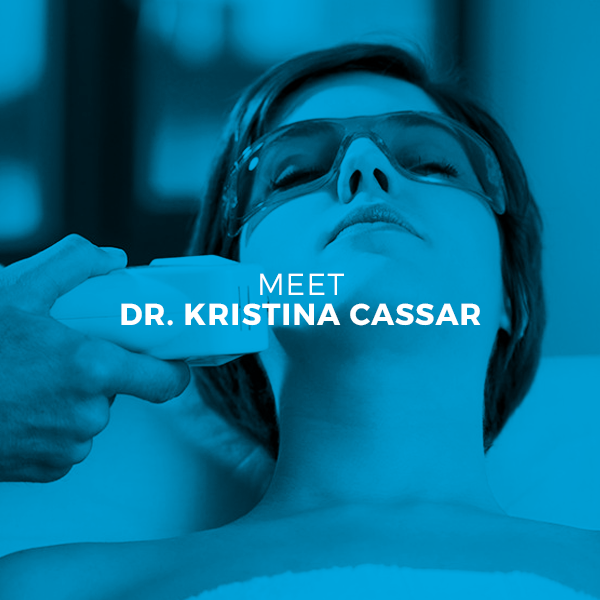 Dr. Kristina will join our experience doctor team, providing popular Laser Hair Removal treatments. Adding a new laser doctor to our team means that Persona Med-Aesthetic Centre can now expand appointment availability, as the number of clients wanting treatment has grown enormously over recent months. Ms. Cassar graduated as a Doctor of Medicine and Surgery from the University of Malta in 2015. She has worked in various medical and surgical specialties as a foundation doctor at Mater Dei hospital for two years, and is currently studying for a Postgraduate Diploma in Sports and Exercise Medicine through the University of South Wales. Dr. Kristina says that she is delighted to become part of the team at Persona Med-Aesthetic Centre, where she will endeavour to provide the best possible advice and treatment for each and every client. Dr. Kristina is looking forward to seeing you at our Centre.